Picture this: you’re a special operations agent for Great Britain during World War II, trapped behind enemy lines. In order to make it home, you’re going to need to purchase food, clothing, shelter and transportation. What currency will you use? If you’re a history buff like I am, or a fan of James Bond films, you’ll know the answer: the British Gold Sovereign. 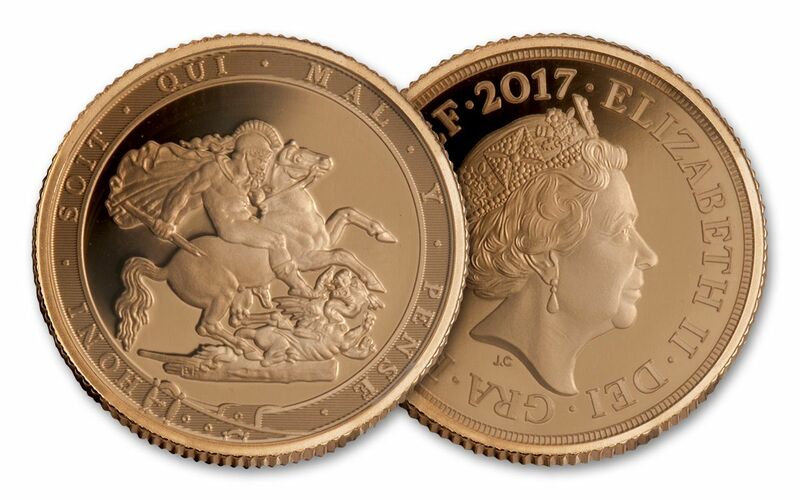 Even in nations beyond the British Empire, the Sovereign was, and continues to be, a trusted symbol of purity and value—which is why those looking to add gold to their coin collection or portfolio have often turned to sovereigns as a prime option, and why the 2017 Gold Quarter-Sovereign Proof is about to turn a lot of heads. The “modern” Gold Sovereign as we know it was first released in 1817 as a replacement for the guinea. Like the guinea, it was struck in 22 carat gold, and as the British Empire spread far and wide in those days, the Sovereign quickly became an accepted form of payment around the world. This is why British special operations agents would have a few sovereigns included in their gear when going on dangerous missions—no matter where you ended up, the locals were almost guaranteed to recognize and trust the validity of a Gold Sovereign! In the last 200 years, a billion Sovereigns have been struck at The Royal Mint and its branch mints around the world. But the years take their toll, and many Sovereigns were worn down past recognition. Still more were melted down in order to be struck into new coins, or converted into bullion bars. This scarcity has made Sovereigns a prized possession among collectors. In fact, it’s estimated that only one percent of the total mintage still exists! One final piece of history that I feel is important to note: in general, a coin’s design will often see an update, or total replacement, after 30 or 40 years. But not the Sovereign! The coin’s obverse, or front, has always depicted whichever king or queen was in power at the time, but in 200 years, the Sovereign’s reverse has barely changed—it still features the exact same image of St. George slaying the dragon that first graced the coin in 1817. This is not a fact to be taken lightly. An “unbroken” design is quite remarkable in the world of legal-tender coinage, and is a sign of security and longevity that few other gold coins can present. The biggest change to happen to the Sovereign’s reverse relates to its border. Originally, it featured a belt design, taken from The Most Noble Order of the Garter, the highest order of chivalry in the United Kingdom. Soon, however, it was replaced by a much simpler border design. But for one year only, The Royal Mint is celebrating the 200th anniversary of this world-famous coin by returning to the original 1817 design. And the epitome of that design is presented here in the 2017 Gold Quarter-Sovereign Proof. A “proof” is a special version of a coin, struck multiple times in a special process that gives its design a “frosty” finish while leaving the field, or background, shimmering with mirror-like brilliance. To fully enjoy the incredible design of these 2017 Sovereigns, this is the coin you want to buy! Simply put, anniversaries are a big deal in the coin-collecting world. They often mean a special edition of a coin, and almost always create an increase in demand. I’ll give you a good example: in 2016, the U.S. Gold Eagle Dollar celebrated its 30th anniversary. Hop on over to your favorite search engine or auction site and see how much a top-condition 2016 Gold Eagle Proof is going for. Now, think of what a 200th anniversary coin would be worth! 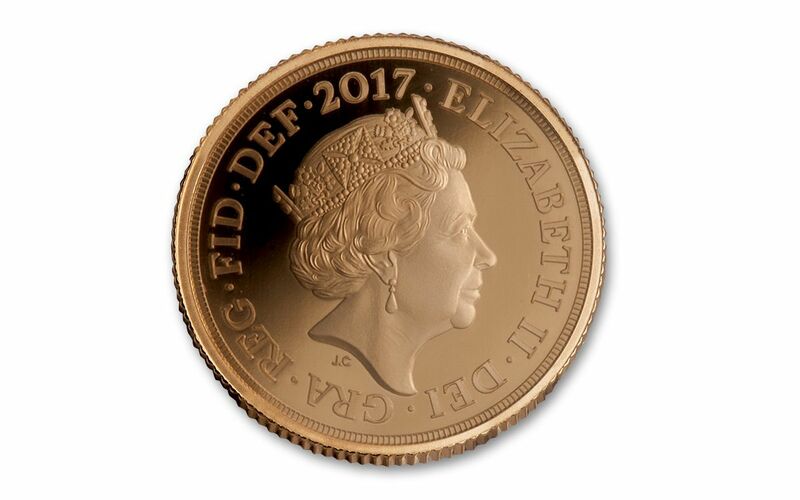 Of course, no one can say for certain what a coin will fetch on the secondary market, but trust me—anniversary coins, especially those that feature one-year-only designs or, as in the case of these 2017 Gold Quarter-Sovereign Proofs, a one-year-only return to the coin’s original design, tend to turn a lot of heads (and open a lot of wallets)! When a classic, beloved design is resurrected, it gains the attention of life-long collectors, casual collectors and history enthusiasts. Ironically, though, many special-edition coins are issued with limited mintages, encouraging high demand and fierce competition for the right to call one or more of that particular coin your own. In the case of the 2017 Gold Quarter-Sovereign Proofs, a mere 5,100 will ever be struck. For a coin of such historical importance, that’s a very small number—making this coin something to be truly cherished. By now, you’ve learned about this coin’s storied past, its high level of security and acceptance around the globe, and even a little about one of Britain’s highest honors. 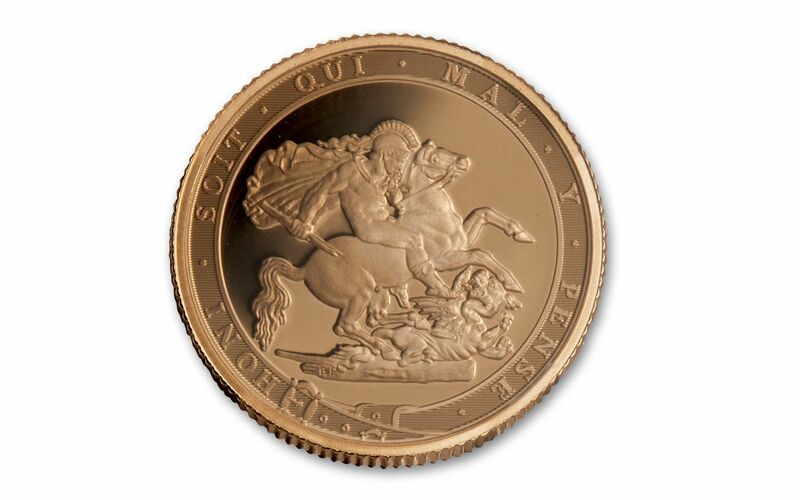 Now it’s time for you to become a part of that story by purchasing your very own 2017 Gold Quarter-Sovereign Proof, complete with its one-year-only return to its original 1817 design. You’ll even receive a special pamphlet with your order detailing the 200-year history of the Sovereign, which will enable you to enjoy your coin even more. Each coin is available for pre-order today for just $189, but why not add a little extra 22 carat gold to your collection or portfolio? We’ve even made it easy for you—the more you buy, the more you SAVE! As always, your purchase will be protected by our 30-day return privilege. History, security and value—these are what make the 2017 Gold Quarter-Sovereign Proof such an important, highly anticipated release. But remember—only 5,100 will ever be struck. So in order to join us in celebrating 200 years of the world’s most accepted gold coin, call 888-870-9143 and mention offer code UVP404P immediately! Bill Gale is a professional numismatist, author, and TV host with more than 30 years of coin market experience. But first and foremost, Bill is an avid collector himself. GovMint.com is a distributor for most worldwide government mints, the Smithsonian Institution® and the United States Olympic Committee. Since 1985, hundreds of thousands of satisfied customers have acquired coins from GovMint.com: Your one best source for coins worldwide. Offer subject to change at any time without notice. Past performance is not a predictor of future performance. NOTE: GovMint.com® is a private distributor of worldwide government coin and currency issues and privately issued licensed collectibles and is not affiliated with the United States government. Facts and figures deemed accurate as of September 2016.